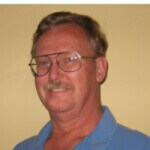 Property Inspectors have to be licensed by the State of Arizona as well as being insured and bonded. Having a strenuous licensing program gives inspectors the ability to inspect all homes for their strong and weak points. These weak and strong points may not always be what they seem. Gain the perspective and sound information you need to make a better purchasing decision with a Wilson Property Inspection. Wilson Property Inspections will evaluate all the major elements of the home, including heating, cooling, structure, electrical, plumbing and more. We report on over 300 items with recommendations for maintenance, repairs and upgrades. Your inspector will review the report with you and answer any questions you may have. 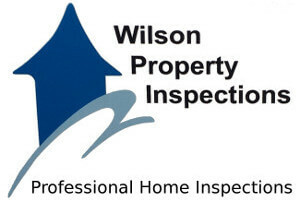 By selecting an Wilson Property Professional Home Inspection you can feel confident that you have chosen the highest quality, most knowledgeable home inspectors available anywhere. We use a state of the art reporting system that combines narrative details, comments and digital photographs. Our report is computer generated on site. You will have a report summary and/or a full report given to you immediately after the inspection is complete. We also have the ability to email or fax the report in PDF format to any person the buyer chooses. In brief, you should know the following about us: Our company was established in 2004 and had been responsible for providing outstanding service ever since. Our specialty is in the area of property / home inspections. Our regular customers particularly value our ability to print the report on site and have all their questions answered before they leave the house that they will be turning into a home. Our business is located at Avondale, Arizona. Result-oriented professional with over 35 years progressive experience in management, operations and training. Achieved a reputation as a tenacious and motivational leader with a “how can we do it better” attitude, accompanied by an outstanding record with the United States Navy. Exhibited skillful leadership while managing a multitude of diverse responsibilities with superior results in the areas of problem identification and resolution, operations planning and special projects vital to the security of the United States.